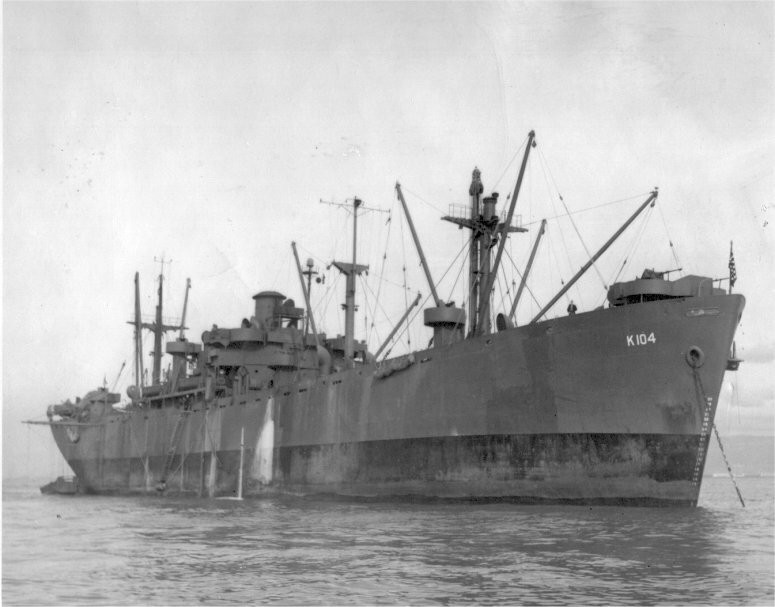 Laid down,16 May 1943, as SS James W. Nye, a Maritime Commission type (EC2-S-C1) hull, under Maritime Commission contract (MCE hull 1571) at Permanente Metals Corp., Richmond, CA. Decommissioned, 15 April 1946, at Pearl Harbor, T.H. 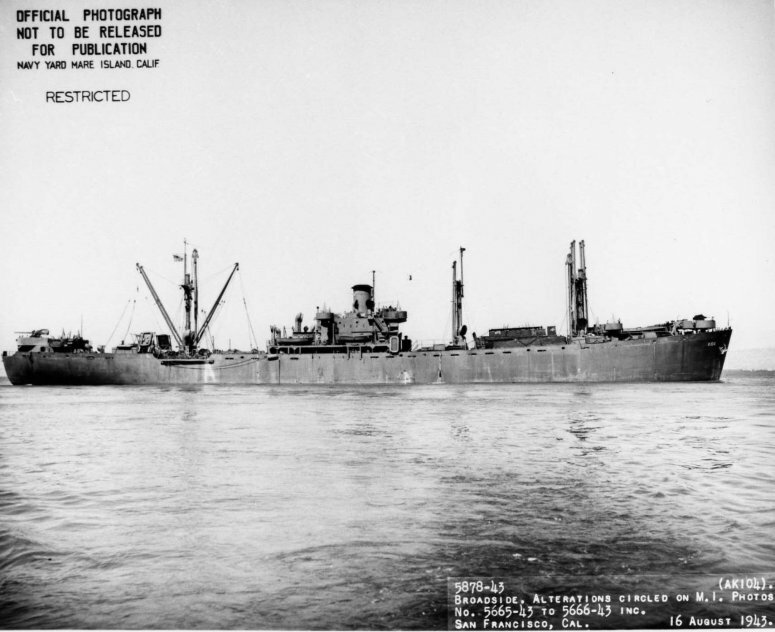 Delivered to the Maritime Commission, 1 October 1947, for lay up in the National Defense Reserve Fleet, Suisun Bay, Benecia, CA. 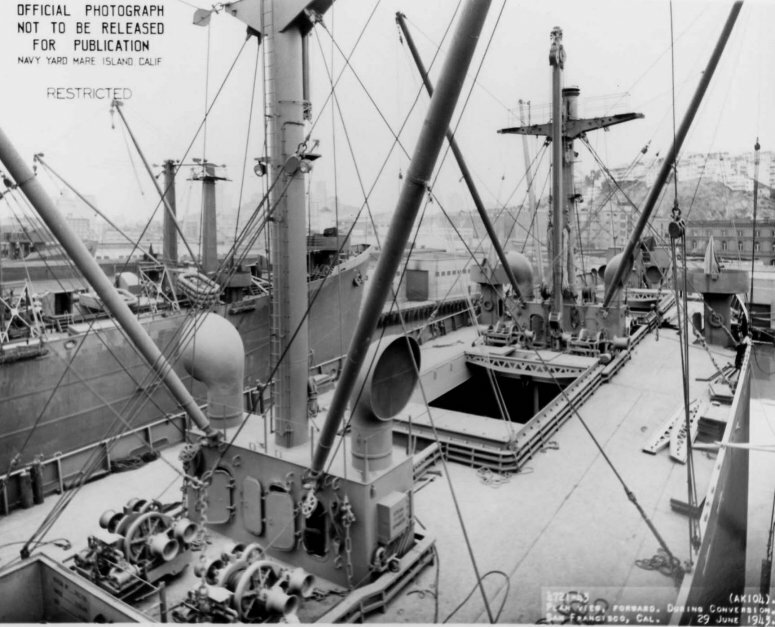 three recip-drive 20Kw 120V D.C.
134k USS Ganymede (AK-104) (amidships and aft plan view) moored pierside at San Francisco, CA., 29 June 1943, during conversion for Naval Service. 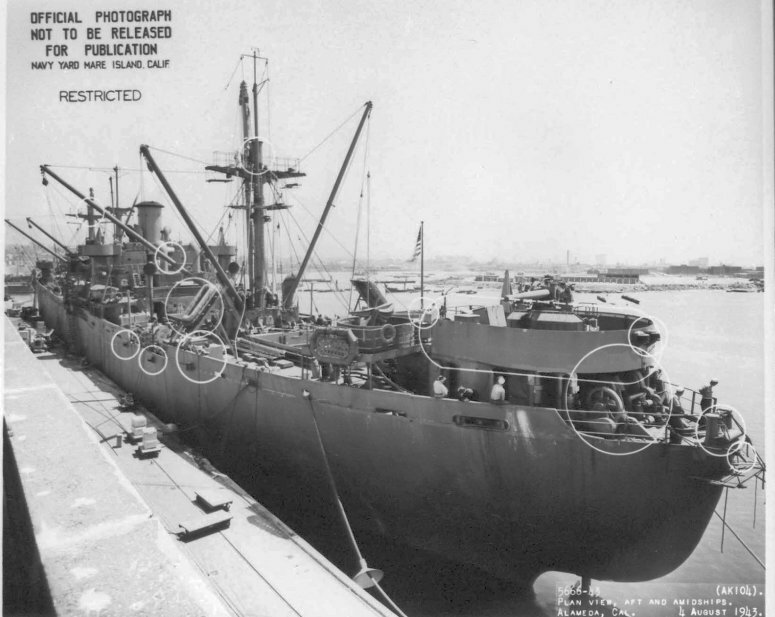 124k USS Ganymede (AK-104) (aft plan view) moored pierside at San Francisco, CA., 29 June 1943, during conversion for Naval Service. 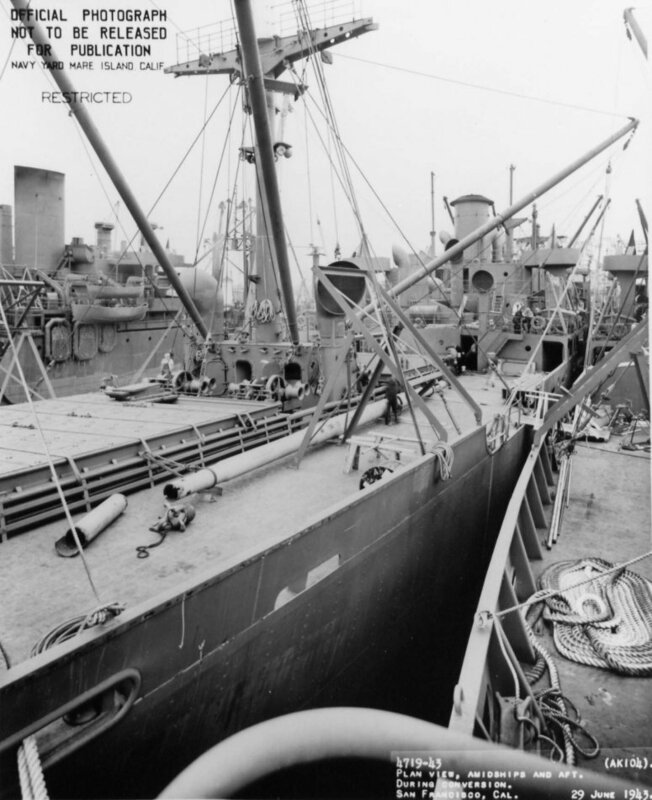 102k USS Ganymede (AK-104) (forward plan view) moored pierside at San Francisco, CA., 29 June 1943, during conversion for Naval Service. 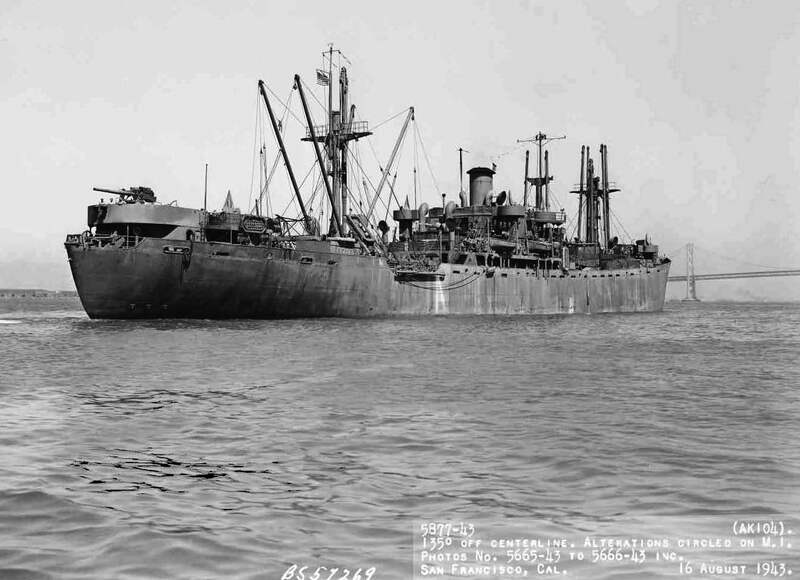 111k USS Ganymede (AK-104) (forward plan view) moored pierside at Alameda, CA., 4 August 1943. 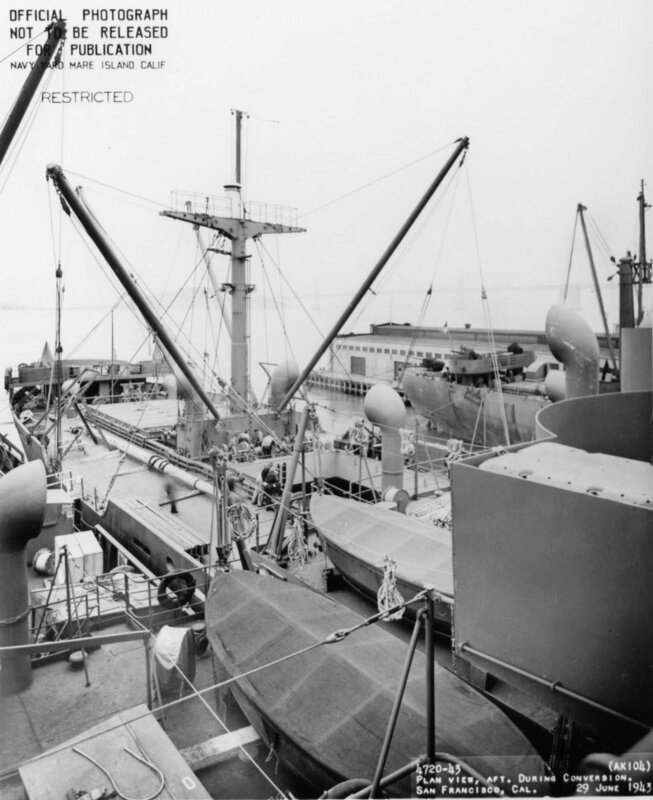 79k USS Ganymede (AK-104) (aft and amidships plan view) moored pierside at Alameda, CA., 4 August 1943. 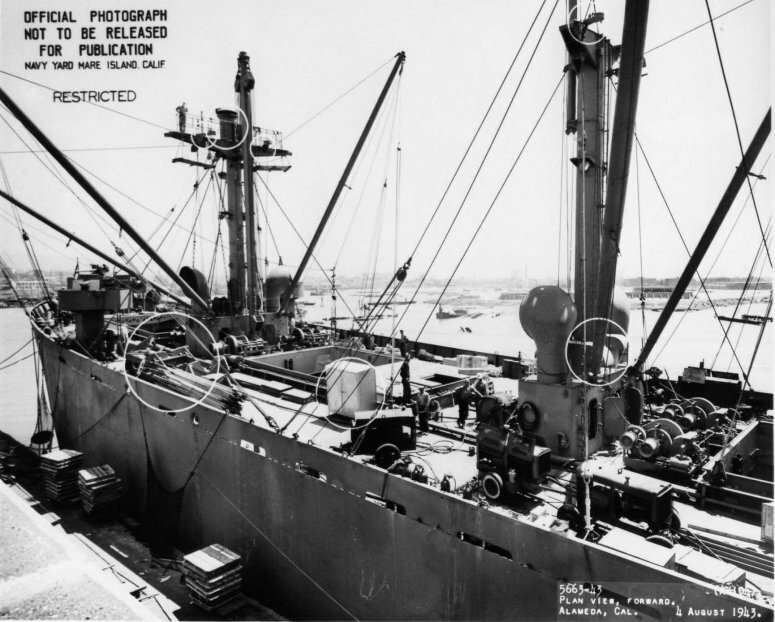 Circled items are alterations made to Ganymede to make her suitable for Naval Service. 76k USS Ganymede (AK-104) (broadside plan view) in San Francisco Bay, 16 August 1943. 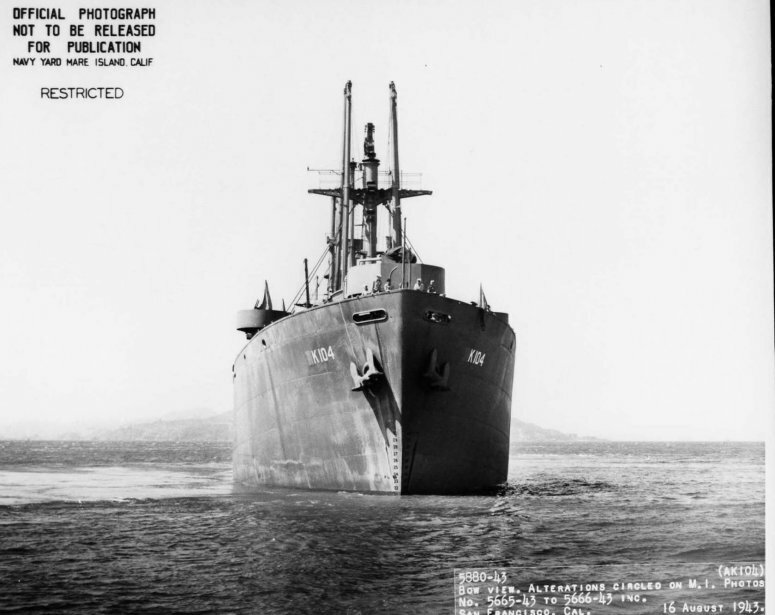 64k USS Ganymede (AK-104) (bow on plan view) in San Francisco Bay, 16 August 1943. 135k USS Ganymede (AK-104) in San Francisco Bay, 16 August 1943.